You know you’re not a fledging startup community anymore when a delegation of leading Indian tech founders are making the Vegas Tech community a stop on their U.S. tech tour. The new TiE Las Vegas chapter, started by Sunny Tara, will be hosting a free cocktail hour and educational event on Wednesday, May 14, 2014 at the Inspire Theater to provide a forum to discuss the challenges and opportunities of building a startup ecosystem in India and Las Vegas. Both India and Vegas Tech are still in the “building” phase of their respective ecosystems and it is the desire of this delegation and of TiE Las Vegas to build a bridge between our communities. While in the U.S. the delegates will be visiting the campuses of Google, Intel, Walmart Labs, Las Vegas’ own SuperNAP, along with Collision Conference, taking place now in Downtown Las Vegas. You can read more about the delegates, VIP speakers and sponsors at the Nasscom Innotrek site. The local TiE Las Vegas chapter was founded by Sunny Tara, founder of docBeat, a Vegas-based secure messaging app for healthcare. Sunny wants to help other local entrepreneurs gain applied knowledge in their respective industries and help make meaningful business connections. Sunny Tara hopes this event will be the beginning of practical opportunities that TiE intends to provide. “Bringing 25 Indian entrepreneurs to visit Las Vegas is a tremendous opportunity and a great way to launch the Las Vegas chapter of TiE. This is just the start of a whole series of entrepreneur focused events that we’ll be bringing to Las Vegas and also the start of creating a stronger connection between India and Las Vegas entrepreneurial ecosystems,” he said. The Inspire Theater in downtown Las Vegas has been reserved for this event, including the private second floor bar. You can RSVP for the event at TicketCake. 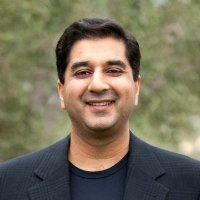 About TiE: The Indus Entrepreneurs (TiE), was founded in 1992 in Silicon Valley by a group of successful entrepreneurs, corporate executives, and senior professionals with roots in the Indus region. There are currently 11,000 members, including over 2,500 charter members in 60 chapters across 17 countries. 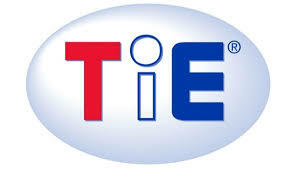 TiE’s mission is to foster entrepreneurship globally through mentoring, networking, and education. Dedicated to the virtuous cycle of wealth creation and giving back to the community, TiE’s focus is on generating and nurturing our next generation of entrepreneurs.